I would be lying if I claimed to spend a lot of time making barbecue sauces. The truth is, I usually just buy bottled sauces at the store when I am making barbecue. Sometimes I get crazy and mix sauces, add stuff to them, etc. It may not sit well with some barbecue purists, but I happen to think there are many good sauces to be bought off of the shelves, so I spend more time working on rubs and protein (I don't feel the same for store-bought rubs, but that is another story). I do like to make my own sauce from time to time just to play around with some different flavors. 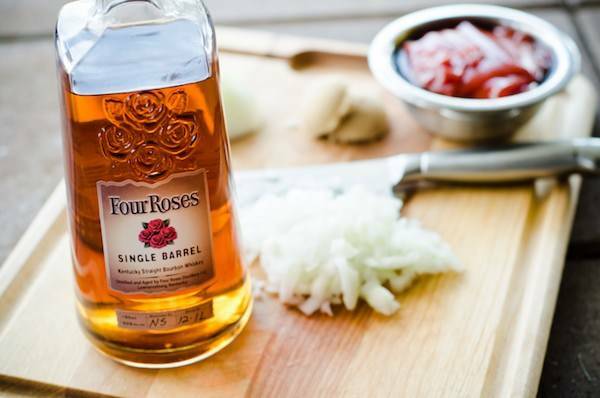 In this case, I had an amazing bottle of Four Roses single barrel bourbon and wanted to make a BBQ sauce to go along with our chicken that night for dinner. 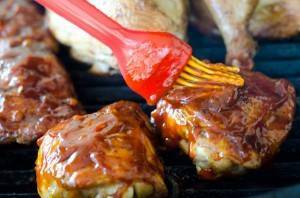 This sauce is a pretty standard barbecue sauce that you can use as a good starting point to try your own variations. I typically start adding stuff from the cupboard to taste, but I actually wrote things down this time before I started sipping on the rest of the Four Roses bourbon. 1Heat a pan over medium heat and add the butter. 2Once the butter melts, add the onion and sauté until clear, about 5 minutes or so. 3Turn the heat to low and add all of the remaining ingredients, except for the bourbon. 4Stir continuously until the sauce is well combine and comes to a low simmer (about 5 minutes). 5Add the bourbon and allow to simmer for 10 more minutes, stirring continuously so the bottom doesn't burn. 6Turn off the heat and allow the sauce to cool. 7(Optional) blend the sauce in a blender until smooth if you don't like your sauce chunky (the onions). 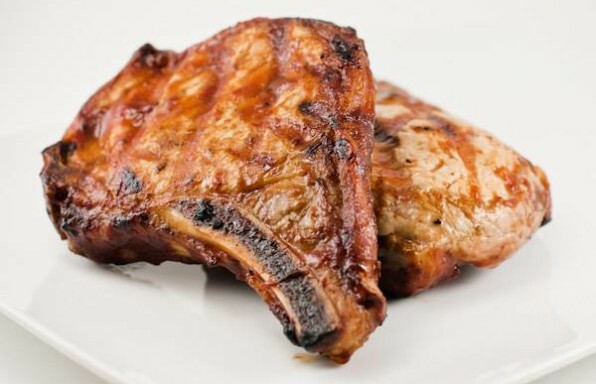 8Add to your favorite chicken or pork for about the last 10 minutes of cooking time to allow the sauce to form a glaze. 9Enjoy with the rest of the bourbon!